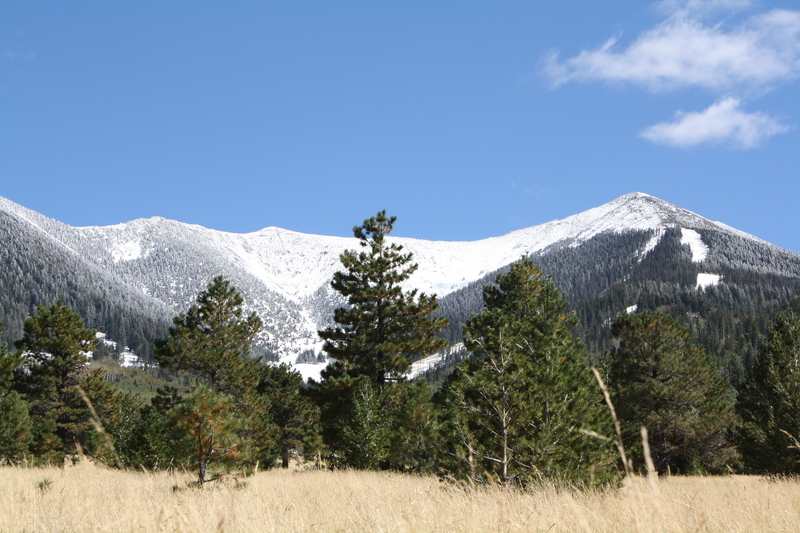 I whisked myself away to the snow-covered mountains in Flagstaff to escape into the beauty God created. We all need a place where we can think, find peace and solace and let go of things past. As I sit among the Aspen trees – I begin to notice the colors in the leaves change – a slight yellow a few orange. The color change takes time, just as healing from any life situation. I find myself at about the same place as the tall beautiful trees; the oranges and the reds are about to come to life within me. “Time heals all wounds.” such a cliché – we’ve all heard it. But healing is a process. The stages we go through (that we need to go through) bring us that much closer to the deep reds and oranges that will light up our life again. I found peace among the trees. I reflected back on where I had been. I have no regrets. I lived my life and grew into the person I am today. God put me on that journey to bring me to where I am now. We should all learn something from where we have been. It only helps us move forward. True happiness is only found within ourselves. As the colors that rejuvenate my spirit begin to change, I will celebrate the sheer joy of being alive. I will not be cheated out of enjoying life’s pleasures – the sunshine in the trees, the snow-covered mountains and the company of a friend from long ago. Well put, I love it!